The new blue bottoms on the site or can I not find them ? Nah not yet, but they have the tech shorts up in that color smh. SNEAKEATER_619, promac and salacious crumb like this. Yes sir. One of the best ever. How I regret not buying complete sets at the time . Got like 5 pair of pants I’m trying to track down the tops for all from 2015 / 2016 . The thing is tops go well with various stuff, but pants only the same or similar top. Used to buy everything Nike, when i figured i dont have a fit i stopped lol. Today's outlet pickups. Scooped the grey/white for $34.99 and the black for $24.99 (used a $20 birthday coupon on the black, so $44.99 before the coupon). riceeeeeeeeee, SpeedforceKJ, salacious crumb and 5 others like this. Got that one too just came in today, favorite out of the new ones with no chevron and the only one imma get. I like the color combo of the pants a lot. Wet and a little windy today. Jacket does good for the wind and water repel. bigstick2324, skywalking, illustrayt and 2 others like this. Did people think you were an Olympic athlete? I need that Olympic jacket. skywalking, ATC IV, Ilija Petrovic and 2 others like this. 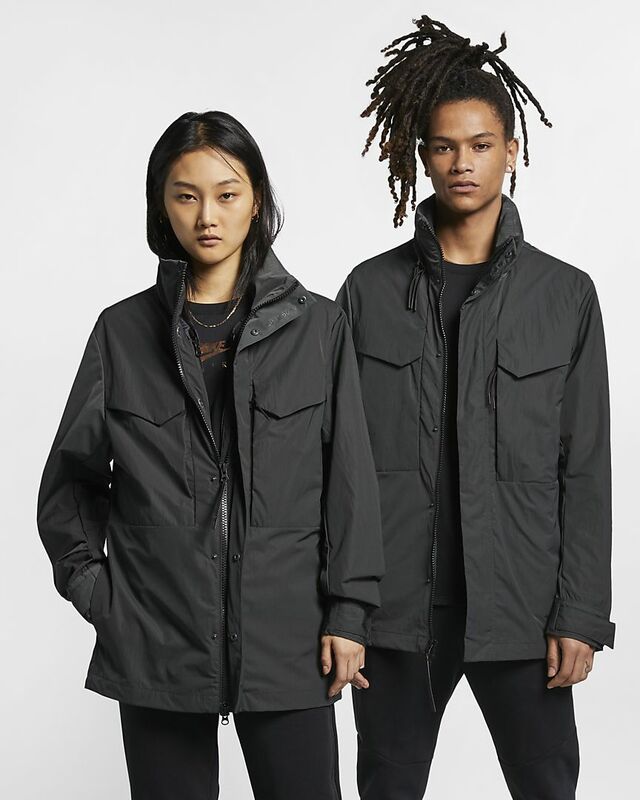 Been eyeing these jackets on eBay for a while now, any comments on how the sizing goes? Very clean fit as well. whats the style # for this? It fits me like a traditional jacket (size L) just has a long back fishtail part. Other than that, the sleeves and length is perfect. It’s a thick material but not heavy. Great for the wind and water repel part. Anyone know how sizing is like for this? Or if this is wrong place for this, lmk.